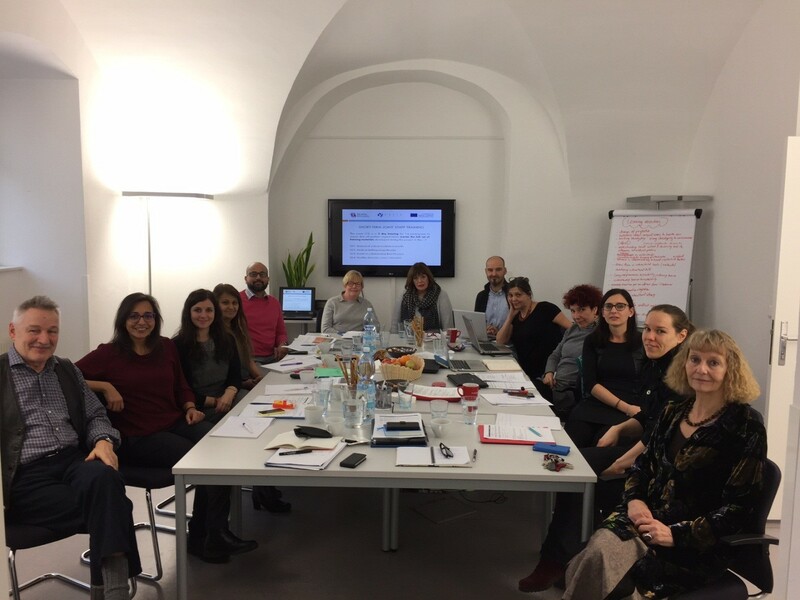 The Healthy Diversity project is halfway, and over the last months, after the transnational partner meeting hosted by the University of Vienna on December 1-2, the partnership has given a push to various aspects of the project development. Healthy Diversity is a strategic partnership project in the field of VET co-funded by the Erasmus+ Programme and aimed at improving the capacity of healthcare professionals, managers of health service providers and decision-makers in meeting the needs of culturally diverse patient groups, in order to reduce the barriers to accessing services and alleviate the existing forms of discrimination within the health sector. The project research and the activities are based on the method of Critical Incidents developed by the French social psychologist Margalit Cohen-Emerique, which proposes a valuable strategy to uncover the set of cultural norms, values and behaviours that people belonging to the same culture tend to take for granted (e.g. gender roles, rationality, ideas about concepts like life or wellbeing). This methodology increases the awareness about the illusion of cultural neutrality and invites us to explore the various cultural reference frames in a more objective way, opening up a margin for deconstruction and negotiation where prejudice and stereotypes have a minor role to play. It also goes beyond the mere recognition of the sources of the tension/problem by facilitating the identification of concrete solutions. In the research phase, to outline with concrete examples how cultural diversity affects the healthcare sector, the sixty Critical Incidents in health collected in the six partner countries through interviews and group workshops with health professionals have been finally organised in a comprehensive and practical catalogue which can help professionals to indirectly experience real sensitive scenarios that may come up through the work with patients from other cultural backgrounds. The reader will soon be available on the project website www.healthydiversity.eu in web version, pdf and ePub in the six partner languages. Similarly, the Medical Anthropology Reader is being finalised and consists in a literature review that illustrates the national production in medical anthropology. From an initial list of over sixty articles representing the literature on the topic published over the last 10 years in the partner countries, the final selection of 13 review articles provides an insight into concrete case studies addressing cultural variations in health related issues from ethnographic, sociological and anthropological perspectives.